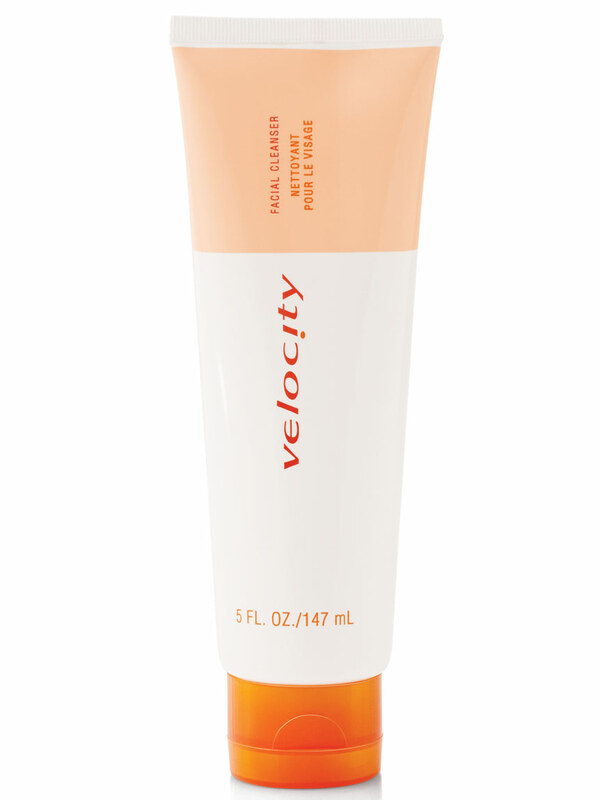 Velocity® Facial Cleanser deep cleans the face without removing the necessary oil and moisture on the skin’s surface. It also exfoliates and freshens skin. Leaves skin feeling soft and refreshed. Features a light and fruity scent. This multitasking cleanser cleans, freshens and exfoliates skin in one easy step. It’s ideal for younger adults and teens with oily and/or blemish-prone skin and can be used for all skin types. Apply to damp face and neck in a gentle, circular motion every morning and evening. Rinse thoroughly with water. Avoid contact with eyes. Camellia Oleifera Extract is an antioxidant that is known to help protect the skin from the effects of free radicals generated by the environment. It also is a soothing agent known for its calming and soothing properties. Propylene Glycol is a humectant that helps reduce moisture loss while conditioning the skin. Velocity® Facial Cleanser deep cleans your face while refreshing and exfoliating it at the same time.